Garlic is a very beneficial food for the organism, and within the different varieties of it, black garlic is very fashionable nowadays. 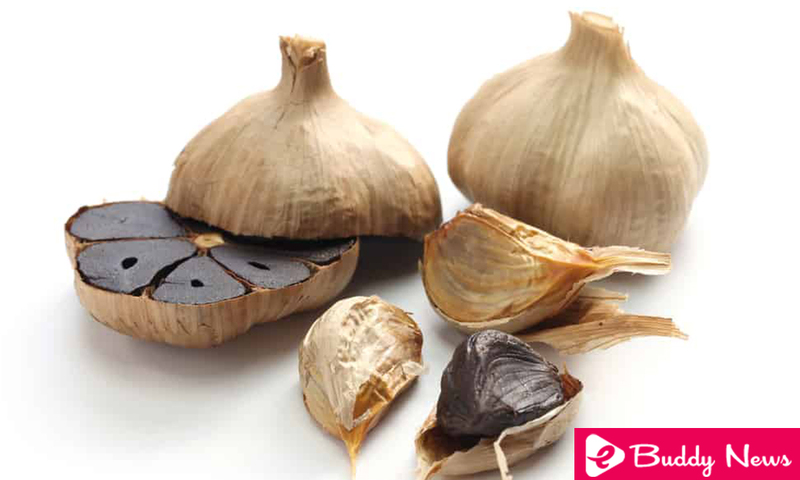 Therefore, we show you its properties, benefits of black garlic and how you can use it in the kitchen. The black garlic is obtained from thermal processing of fresh garlic, which is kept at a temperature of between 60 and 85 ° C with a humidity of between 70 and 80% for 30 to 40 days, during which garlic undergoes a browning due to the reaction of Maillard and so, it changes color becoming black inside. Thus, with respect to its properties, after fermentation, garlic changes its nutritional qualities a great deal, according to a study published in 2015, since it concentrates its content in amino acids and the contribution of sugars that are transformed during the heat treatment and that confer a flavor sweeter and nicer to black garlic. Likewise, the contribution of phenolic compounds in black garlic to the fresh garlic that we all know is considerably increased, which translates into a much higher antioxidant capacity, according to a study published in the scientific journal Plant Foods for Human Nutrition. For the rest, black garlic is a food rich in prebiotics and high in potassium, as is the case with fresh garlic or cooked but not fermented according to Korean scientists. Because of its high content of antioxidants and polyphenols with an anti-inflammatory effect in our body, black garlic can be beneficial for many diseases in which oxidative stress is present and inflammatory processes are among the triggers. Thus, research published in Nutrition Research and Practice notes that black garlic could be very helpful in preventing the complications of diabetes, by neutralizing the oxidative effect of hyperglycemia in the body. On the other hand, a study conducted in vitro and with rodents has observed antitumor properties in black garlic extracts that can induce apoptosis and prevent the proliferation of cancer cells. Also, its antioxidant power could prevent lipid peroxidation as indicated by research published in 2007, which translates into less risk of atherosclerosis and thus, cardiovascular benefits as well. Finally, we can not fail to say that all these benefits of black garlic are due to the immunostimulatory activity of the compounds, that is, the ability to strengthen the functioning of the body’s defense system, as researchers from Korea conclude. As we have seen, black garlic has valuable properties and many benefits, even superior to fresh garlic and that we have traditionally used. We can use it in our dishes to give a very pleasant flavor and enjoy all its unctuousness, using it as if it were the garlic of a lifetime. Thus, with black garlic, we can elaborate from a sauteed with vegetables, to a sauce for pasta, a vegetarian dip or an aioli with flavor and a particular color. For its consistency could be used to spread a toast directly, but we can also use them to flavor a variety of other dishes because as we said, it is appropriate to use it to replace fresh garlic without any inconvenience.